What happens to the people in a string of small towns when the industry that has been their largest employer for over a century goes belly up? The citizens of coastal Maine are facing just such a crisis. In April of 2010, the last sardine cannery in the United States, located in tiny Prospect Harbor, was closed. 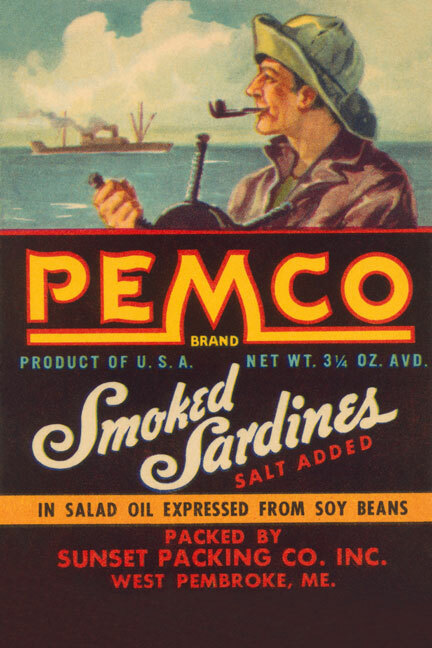 The area called "Midcoast Maine" had relied on the many varieties of tiny silver herring, that when processed were sold as sardines, to provide jobs since 1875, when a New Yorker opened the Eagle Preserved Fish Co. in Eastport. 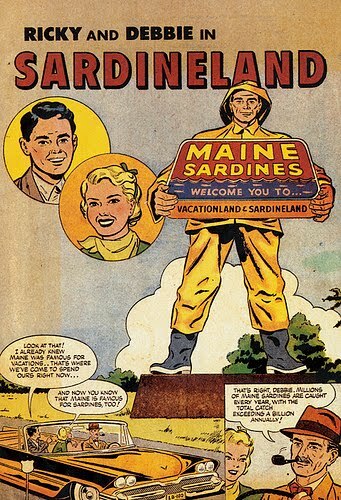 Vacationland Lives, But Sardineland Is Belly Up. As many as 400 canneries have, at one time or another, been operating along the rocky shores of Maine. Now the sole survivor has been hooked, gutted, processed, consumed, and thrown in the trash can of history. With it not only the jobs, but the traditions and culture associated with the industry, are gone. A way of life taken for granted for generations vanishes. So what happens next? Among the hardy residents of Maine, the reaction involves preserving and saluting the past, mourning the sad events of the present, and beginning to plan for the future. Mainers (please don't call them "Mainiacs") are among the most resilient people in the world. Whether it is the long, snowy winters; or the fact that Maine is the most sparsely populated state east of the Mississippi; or that it is geographically isolated, being the only state to border on exactly one other state; for whatever reason, the citizens of Maine are tough customers. 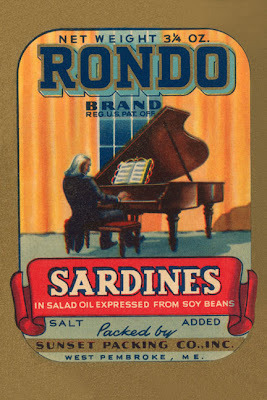 The Sardine Extravaganza scheduled for August 2010 proves that one more time. 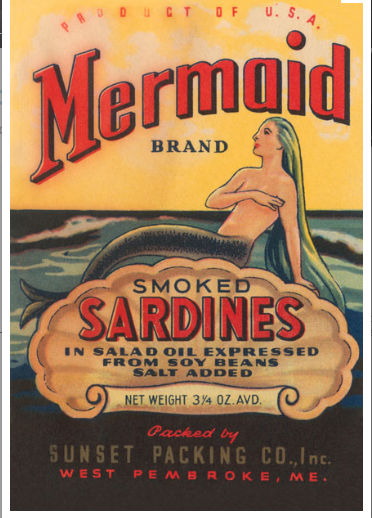 A couple of poets from the coast have proclaimed 2010 to be The Year of the Sardine. These two seemingly mild-mannered wordsmiths are dead set against the canning industry going gentle into this good night. Even their names are an ode to bravery: they are the fearless Karen Spitfire, and the renegade Gary Lawless. 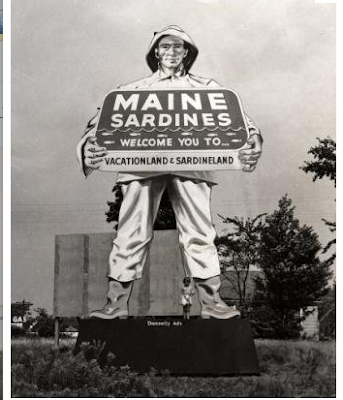 These Bards of Belfast and Brunswick have joined forces to organize a series of events which document and celebrate the history of the Pine Tree State's sardine industry. Their blog, sardinesong.blogspot.com, is the pride of "Sardinistas" from Bath to Bucksport and back again. 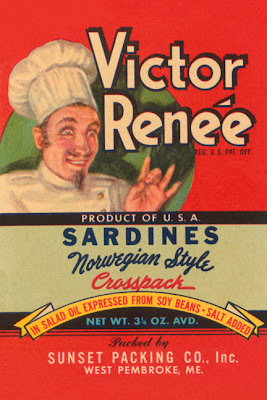 The site has even spawned a book: Sardine Songs/Herring Hymns collects the writings and images of the many contributors to the blog. Spitfire and Lawless will be on board for the Wayne-Cary Memorial Library's Sardine Poetry Night on July 30. The next day the two will be signing the anthology at the Maine State Museum's All About Sardines festival. Lastly, these two versifiers are trawling for chums to join them at the Herring Gut Learning Center (!) located at 59 Factory Road in Port Clyde to celebrate the village's sardine history and culture. Up the coast at the Belfast Free Library an exhibit focusing on the city's now closed Stinson's Seafood factory will be on view throughout the month of August. The show will include photos, books, ephemera, and memorabilia from the Belfast Historical Society and Penobscot Marine Museum. Also on display will be original paintings by Barbara Marie and Julie Cyr, celebrating the sardine and the fishing industry. 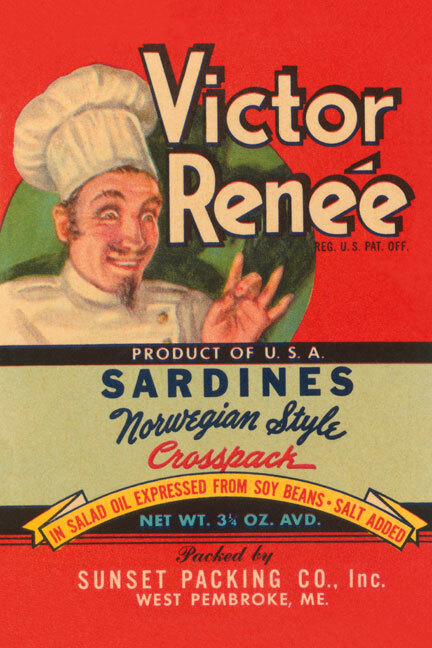 On Tuesday, Aug. 10 the library will host a "Fish Forever" program, including a sardine/herring industry slide show. All this is just the appetizer for the feast that is Belfast's Sardine Extravaganza on August 21. 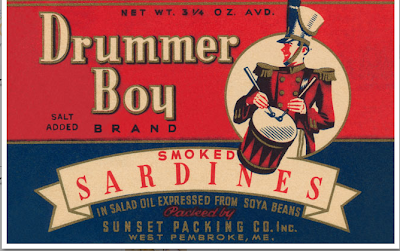 This day long fair is a salute to fish, fishermen, and fish packers, including a live performance of an improvisational play, For Love of Herring. This one will lure in an audience from all over the State, and bait them into falling hook, line, and sinker, for those shining silver fish. The industry may have breathed its last, but these proud Mainers won't sink into depression. Somehow they'll find a way to fight the tide of unemployment and stay afloat. These sardine labels are wonderful! It is sad when an entire industry dries up -- like seeing the old mill towns of New England and even modern industries flee to other countries with a cheaper workforce.